CCEDNet's webinars provide unique learning opportunities for people from coast to coast to coast -- all you need is an internet connection. Drawing on the latest thinking, emerging issues and some of the best expertise in the country, you won't want to miss these webinars. Sessions are open to the public, and free for members. Do you have suggestions for future topics? Tell us. Stay tuned for more of our upcoming webinars! Over these decades, the Chantier de l’économie sociale and its partners have built strong alliances with social movements and governments and have created an ecosystem of support that has attracted interest at a pan-Canadian and international level.What were the key steps in this process and what are the lessons learned that are still pertinent today? 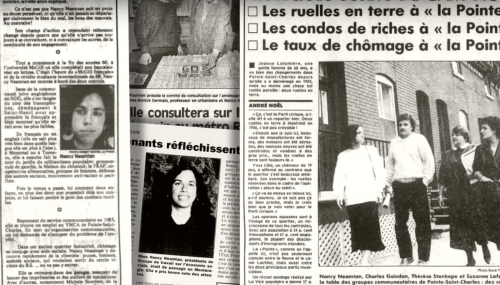 Nancy Neamtan, ex-CEO of the Chantier de l’économie sociale, has completed a synthesis of the history of the Quebec social economy movement, based on her personal experience that began in the mid-80’s in the Southwest of Montreal and continues today through her on-going involvement in the social economy movement in Quebec and internationally. 2019 marks CCEDNet’s 20th anniversary, but the movement for fair and inclusive economies stretches back much further... Stewart Perry is one of the pioneers of community economic development, and also CCEDNet’s first honorary lifetime member. Stewart was part of the US Office of Economic Opportunity and helped create the first federal CED support program nearly 50 years ago. Watch in the link below this celebratory kickoff webinar of CCEDNet’s 20th anniversary year with a look back at the origins of CED, its emergence and growth, current challenges and opportunities, and a toast to the many people who have contributed to the movement we know today. Shaun Loney's An Army of Problem Solvers offers good news at a time when we need it most. Loney draws on his experience as one of Canada's leading social enterprise developers and his time as a senior civil servant to offer up a new and practical vision. Just who are the problem solvers? 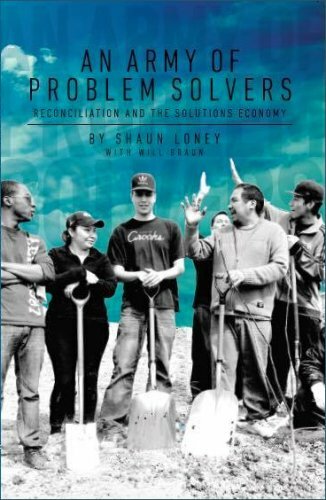 Loney makes the case that social enterprises, social entrepreneurs and the small farm movement comprise the "solutions economy". Governments will soon understand that it is their job to "make it easy for problem solvers." Learn more about Shaun Loney's new book An Army of Problem Solvers and learn how you can join ranks! 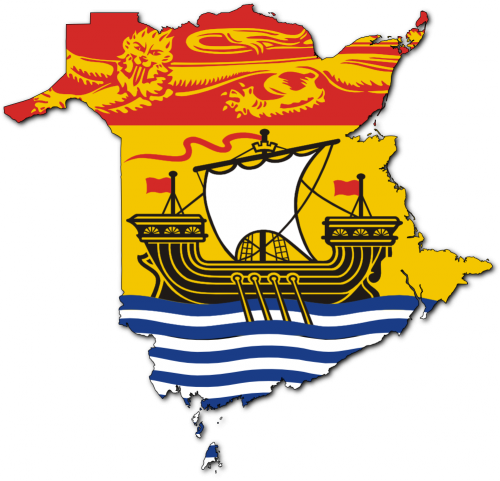 New Brunswick is the latest province to implement legislation to enable community investment through Community Economic Development Corporations (CEDCs). Individuals will now be able to purchase shares or securities in CEDCs in their local community to pool their resources together to invest in eligible community projects. CEDCs will be controlled by a local group of officers and directors. Learn about what's unique about the New Brunswick model for community investment, key lessons learned in establishing the CEDC legislation, and more! How has Scotland become a global leader in social enterprise? What can Canada learn from the vibrant landscape of 5,000+ social enterprises in that country? In early September, a pan-Canadian group of social enterprise stakeholders visited Scotland to tour the landscape. Hosted by Community Enterprise in Scotland, the largest third sector business support provider in Scotland, we met with government representatives, intermediaries, and a diverse mix of social enterprises. This webinar presents key findings from the tour and share reflections for the continued evolution of the social enterprise landscape in Canada. 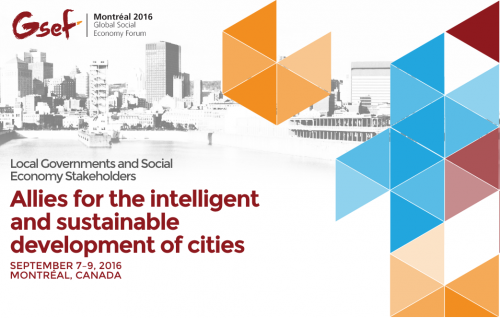 Learn about the Global Social Economy Forum happening September 7-9, 2016 in Montréal, Canada - and why your organization should attend! 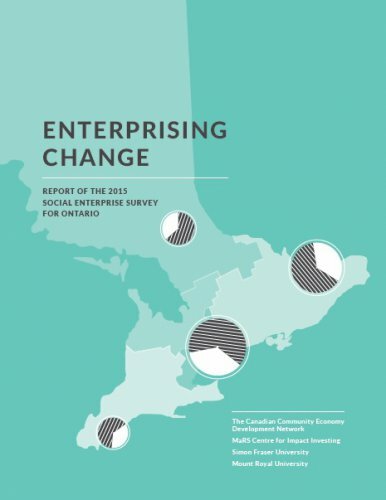 This webinar highlights key findings from Enterprising Change: Report of the 2015 Social Enterprise Survey for Ontario. We will share many of the most relevant sector-wide results with a particular focus on the role social enterprise plays in reducing poverty through generating employment. This survey is the first research of its kind in Canada to include analysis of both for-profit and nonprofit social enterprise. Comparisons between the two models will be shared. The webinar also features comments on the survey findings by the Government of Ontario’s Social Enterprise Branch. The complex environmental challenges we face today require us to look critically at how we might transform our economies to reduce pollution, use less land, and regrow natural spaces. As a result green jobs are increasingly the centre of economic development conversations. 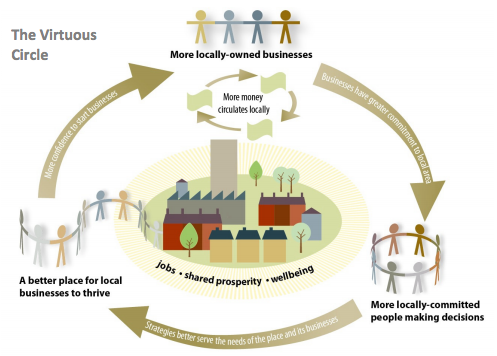 Community economic development (CED) is a strategy that can be used to help ensure that the benefits of a green economy are shared with those that are so often left out of the mainstream economy. Across Canada and around the world, people are rising up to shape new economies. 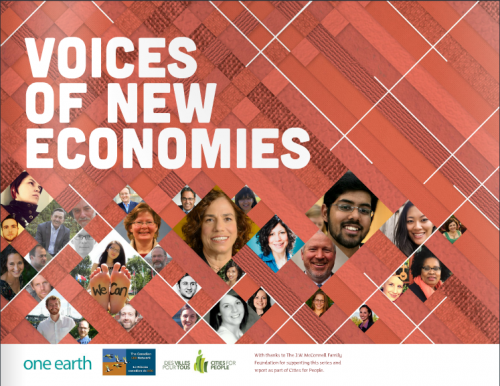 Recognizing that the ecological, social and even financial costs of our current economic system are unsustainable, innovative leaders are finding different paths forward. As part of the third annual New Economy Week, this session will challenge us to explore how we can scale promising social innovations towards larger systemic change. 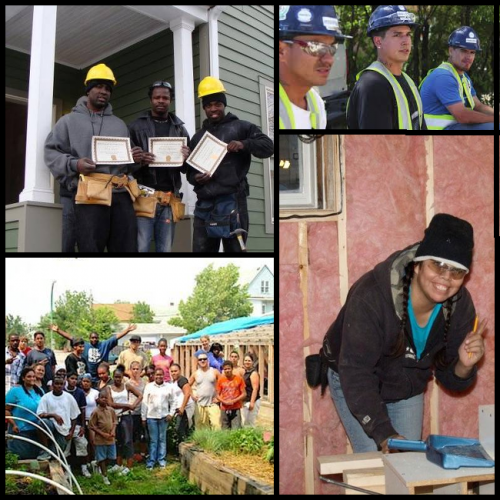 In the face of increasing wealth inequality and rising poverty rates, economic security is picking up steam as an inclusive, comprehensive solution for healthy, vibrant communities. But what is at the core of this concept, and what does it contribute to the poverty reduction movement? What separates economic security from the many other promising practices that poverty reduction advocates wrestle with? In this session, Annette Case, Senior Consultant and Project Manager with the Insight Centre for Community Economic Development, and Michael Toye, Executive Director of the Canadian CED Network, explain the ins and outs of economic security, share example impacts, and dive into an inclusive framework that is shifting attitudes and creating positive change. Join evolutionary biologist, David Sloan Wilson, who has worked with Elinor Ostrom, to learn about community development strategies for designing successful co-operation. 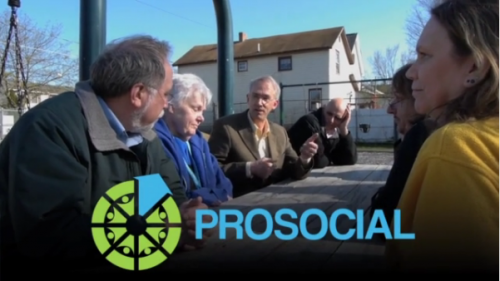 Through experiments with new approaches to sustainable community development including the Binghamton Neighbourhood Project and the Binghamton Regional Sustainability Coalition, David is part of a team that has recently developed PROSOCIAL — a free online platform that helps groups apply the core design principles to improve their efficacy in working together towards common goals. 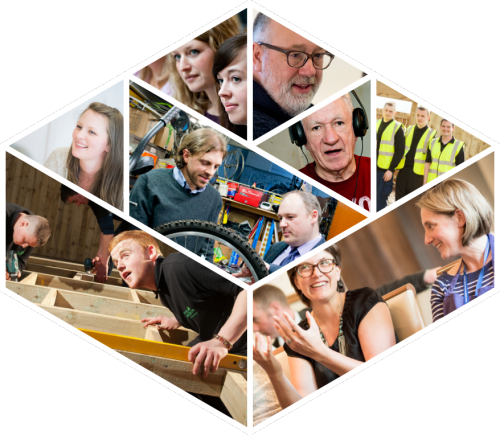 This webinar with Karen Leach explores the work that Localise West Midlands has done to generate support for community economic development, how to effectively evaluate CED activities and demonstrate impact, and to understand what strategies are working in the UK to increase the uptake of the CED approach and address prevalent social and economic challenges. 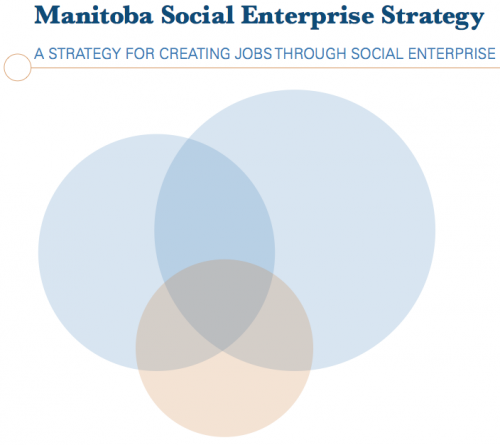 In February 2015, the Government of Manitoba and CCEDNet launched a social enterprise strategy that built on well-established pillars of social enterprise development and an inclusive engagement process. Learn about this strategy, how it was made, its implications, the broader context for social enterprise policy, and what can be learned for your jurisdiction. Crowdfunding can be used to finance a variety of purposes, from the small-scale support needed for specific projects or initiatives to larger start-up capital for small and medium-sized enterprise. It can tap into your organization’s existing fan base and it can help you to access investors who are interested in your idea. In anticipation of the 2015 federal election, CCEDNet's Policy Council has updated our policy priorities and we sought your input. This session provided an opportunity for CCEDNet members and others to provide feedback on the proposed new priorities, and consider strategies for getting CED into party platforms for the election in 2015. A small rural municipality and a small city board of education are both see running a social enterprise as an effective strategy to fulfil part of their mandate. This session discusses the many ways any social enterprise and its local government can benefit each other. From financing a building to building a community, these two models of shared space provide lessons and inspiration for anyone thinking of developing or working in these kinds of settings. The enterprise types developed by these two organizations range from cafes to recycling, woodshops to casual labour and so much more. Creating multiple enterprises is a proven strategy to scale up the impacts of social enterprises in communities. Hear the stories of how it was accomplished, why this strategy was selected and why each chose the unique model it has. A growing number of studies confirm the local economic benefits delivered by independent businesses. Over the last 15 years, the American Independent Business Alliance has supported more than 90 neighbourhoods, cities and regions throughout the US with a four-pronged organizing model to create effective local independent business alliances and successful buy local campaigns. This session presents their model, shares lessons learned, and explores interest in adapting AMIBA's approach for Canada. Internationally recognized trainer and community builder Liz Weaver provides an overview of collective impact and how this approach can enhance the impact of community change efforts. Learn more about SEontario.org, Ontario’s newest social enterprise community, and how it is designed to help profile and inspire social enterprise in the province in this free webinar recording. To strengthen the evaluation and impact measurement capacity of our members, CCEDNet partnered with GlobalMeasures Initiative (GMI) to offer affordable access to a powerful Social Return on Investment platform. One of the main outcomes of the United Nations Conference on Sustainable Development (Rio+20), held in Rio de Janeiro in June 2012, was the agreement by Member States to develop a set of sustainable development goals (SDGs) that address all three dimensions of sustainable development and that will be integrated into the UN development agenda beyond 2015. In this session Shannon Kindornay, Researcher with the North-South Institute (NSI), presents the process and prospects for the UN post-2015 Development Agenda, and Daniel Tygel, Operations Manager with the Intercontinental Network for the Promotion of the Social Solidarity Economy (RIPESS), talks about RIPESS' efforts to secure a greater role for innovative social solidarity economy practices and networks globally. Immigrants to Canada make up nearly 20% of the population, but face significant disparities in many areas of daily life. The income gap between newcomers and Canadian-born employees is growing, and more recent immigrants are not faring as well as those in the past. Entrepreneurship can be a strategy to overcome income disparities, but many immigrants have difficulty accessing mainstream business development supports. The Edmonton Mennonite Centre for Newcomers and the Montréal Community Loan Association have specialized in entrepreneurship supports for immigrants, and their successful programs have generated some unique insights. This session presents the lessons from these two effective models of community services for immigrant entrepreneurship and considers the implications for improving immigrant settlement and integration in Canada. The start of a new year is often a time for looking back and looking forward. 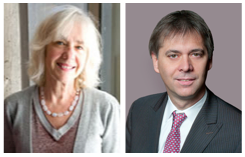 But 2014 also marks a major turning point in the lives of three long-time Canadian leaders in the fields of co-operatives, social enterprise and CED. 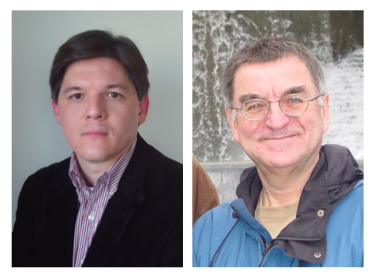 Over many years of dedication, Lynne Markell, David LePage, and Walter Hossli have played an integral role in the growth and development of CED in Canada. 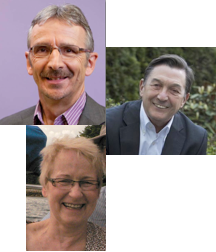 So we wanted to start our 2014 webinar series by sharing some insights from these three leaders looking back on their experience and revealing their vision for the future. In this session, moderated by CCEDNet Emerging Leaders co-Chair Marianne Jurzyniec, we reflected on the biggest changes they've seen over their careers, the most important lessons they’ve learned, and where they see exciting opportunities in the field today. To strengthen the evaluation and impact measurement capacity of our members, CCEDNet partnered with CanadaMeasures Initiative (CMI) to offer affordable access to a powerful Social Return on Investment platform. In this age of growing concern for social and environmental conditions, youth are increasingly looking for purpose driven employment opportunities in the hopes of developing mission-related careers. Canada’s employment statistics also reveal an aging workforce, much of which is nearing retirement. Employers understand that youth engagement is essential for creating substantive and lasting change and is integral to organizational succession planning for. But many organizations have limited hiring power and, in some cases limited experience in effective youth engagement, and so are struggling to provide the work experience and longer-term employment opportunities needed to attract a new generation of workers to the Social Economy. This session introduces some examples of how youth can take charge of their own careers within the Social Economy, both by creating their own initiatives and by finding ways to integrate themselves into existing programs and projects. The CED Investment Fund (CEDIF) program in Nova Scotia is one of the leading Canadian models for mobilizing local investment in economic initiatives. Since 1999, CEDIFs have grown from an untested concept to a proven instrument for community capital development that manages more than $50 million in 48 funds -- all raised from local residents. Prince Edward Island has recently launched a program inspired by CEDIFs, and other provinces have expressed interest. This session with Chris Payne, CEDIF Investment Manager, introduces the model, illustrates the impacts it has had redirecting investments for local impact, and considers key lessons from Nova Scotia’s success. Curious about the size, scope and socioeconomic impact of nonprofit social enterprise in Ontario? 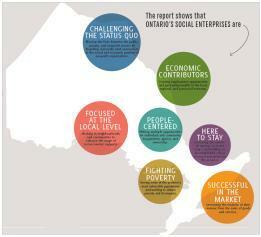 This session previews the key findings from the 2012 Social Enterprise Survey for Ontario. 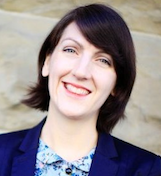 As the first research of its kind in the province, this webinar offers significant insights into the burgeoning trend of social enterprise within Ontario’s nonprofit and charitable sector. The Resilience Imperative: Remaking the CED Agenda? A feature webinar discussion with Mike Lewis on Resiliency – a next step for local economies in the transition to a low-carbon future. 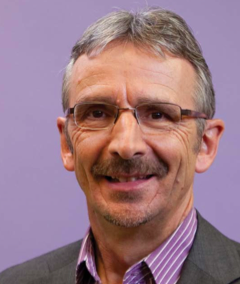 This webinar will build on Mike's 35 years of experience as one of the leading voices for CED in Canada, and draw from his latest book: The Resilience Imperative: Co-operative Transitions to a Steady State Economy. This session offers financial management strategies from one of the most experienced CED leaders in Canada: Walter Hossli, Executive Director of Momentum and founding member of CCEDNet. In this webinar, Walter shares the lessons he’s learned over the last 20 years and tips on how strong financial management can catalyze organizational passion, performance and independence – and ultimately better results for communities. In the summer of 2012, the Canada Revenue Agency updated its guidance for community economic development activities and charitable registration, the first significant update since 1999. This webinar with the Canada Revenue Agency examines what has changed in the new guidance, what hasn’t, and the important what organizations that have or are considering applying for charitable status need to know. Social Impact Bonds (SiBs) have been attracting significant attention as an alternative way of financing innovative programs that can solve complex social issues and reduce government costs. Focused on outcomes, SiBs bring together private investors, service delivery organizations and an intermediary to shift the risk away from government, which pays only for successful outcomes. With community agencies facing funding reductions and governments looking to cut spending, some people see SiBs as a solution. In this webinar, Margie Mendell and Christian Novak explain what social impact bonds are, how they can be used, and consider the limits and concerns about their potential application. From Microcredit to Microfinance: Grameen 2.0? In recent years, and especially since Mohamad Yunus won the Nobel Prize in 2008, microcredit has become widely used on every continent. According to its proponents, it can reduce poverty levels for large numbers of people, particularly women. But there is a growing awareness that not only is microcredit not a panacea, in some cases investors are even making money off the backs of the poor, and indebtedness is growing. At the same time, CED and social economy organizations in Canada and around the world are developing approaches that prioritize the financial needs (credit, savings and insurance) of the poorest in our society while increasing their control over their own development. These approaches allow users to become members and owners of their institution. This webinar presents two mutuals, one in Guinea and one in Québec, that illustrate the power of democratic microfinance. 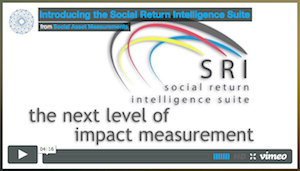 Social Return on Investment (SROI) is a growing evaluation methodology that seeks to move the assessment process from a focus on cost alone to one that focuses on value. By assigning financial proxies (monetary value) to social, environmental and economic outcomes, SROI creates a more complete understanding of the value generated by an initiative and can help build stronger communications (including business cases) for a wide range of community investments. This session will introduce the SROI approach, provide some examples of its use in Canada, and outline the increasing use of SROI by agencies and funders to understand and communicate the value of their work and investments. The research on the social economy undertaken between 2005 and 2012 by the Canadian Social Economy Research Partnerships, the national hub and the six regional research nodes, continues via several fascinating research projects across the country. This webinar shares the latest activities from current research programs on the impact of coops, social businesses, scaling community innovation for sustianability, Aboriginal and urban poverty, and community-university engagement. An impressive lineup of leading Canadian researchers highlight what they are doing, what research outputs are available and what is expected, and how to get involved.